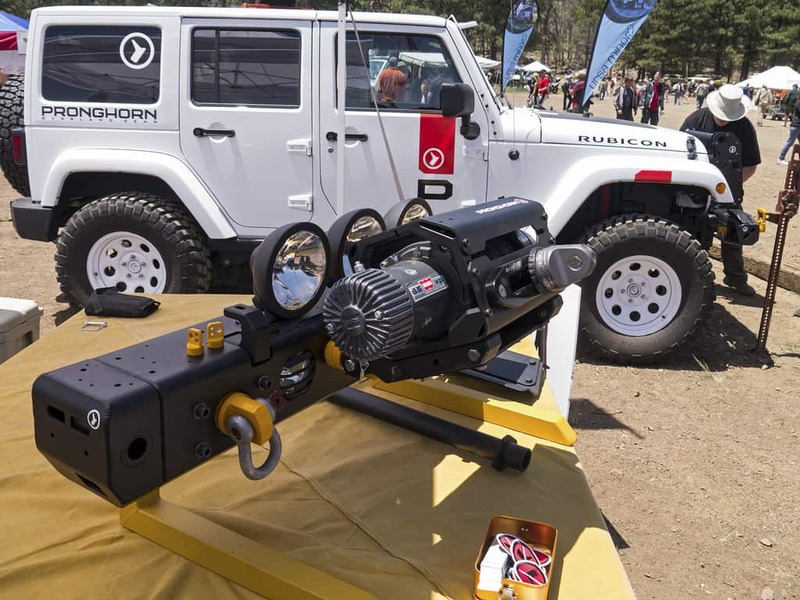 My task at this year’s Overland Expo was simple, find five new products that stood out from the truly overwhelming sea of gear that goes on display at the show. So how does one drown out the noise and narrow it down to so few items? Simple—focus only on products with the traits I hold most dear: simplicity, durability, and flexibility. With 18 different possible configurations, the no-drill Pronghorn Modular Front End System (MFES) is the ultimate in front-end protection for the indecisive Jeep JK owner. And if the freedom to change your mind post-install isn’t enough, the individual components and accessories of this erector set for adults are themselves constructed of the highest quality and innovation. Rumor has it versions for other popular overlanding platforms are on the drawing board. 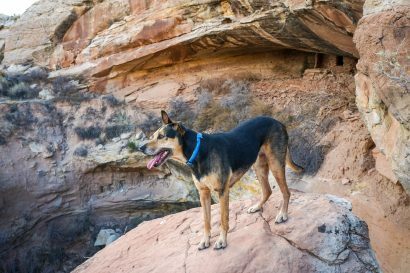 The Pronghorn MFES is available directly from the manufacturer: Pronghorn Overland Gear. While I tend to shy away from “tactical” products, I love the look of this plain looking, not yellow dry bag system. In addition to their subtle good looks, the MTP line also brings innovative new features such as a rolling-optional closure, padded divider system (think camera bag), and two backpack style models. The Watershed MTP line of products will be available soon from Expedition Ops Outfitters. Finally! A durable in-car USB charger capable of generating the two amps required to charge an iPad, and in such a sleek package. 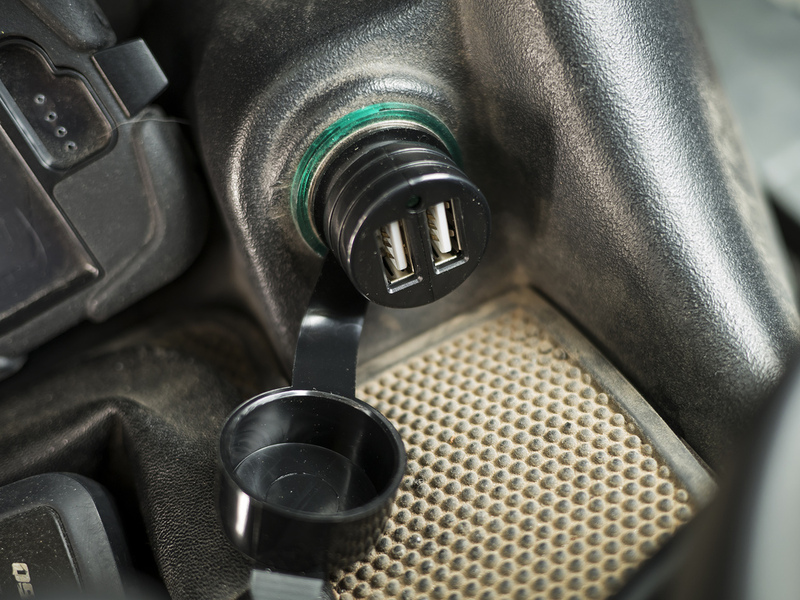 These marine-grade units slip right into an ordinary automotive power port (formerly known as a cigarette lighter), and are rated per port—meaning plenty of power to charge multiple devices. Contact the fine folks at Expedition Ops Outfitters to purchase the Blue Sea Dual USB Charger. This light weight, flat packing, expandable grilling system will work with nearly any heat source including wood, charcoal, and gas- or gel-fired burners. 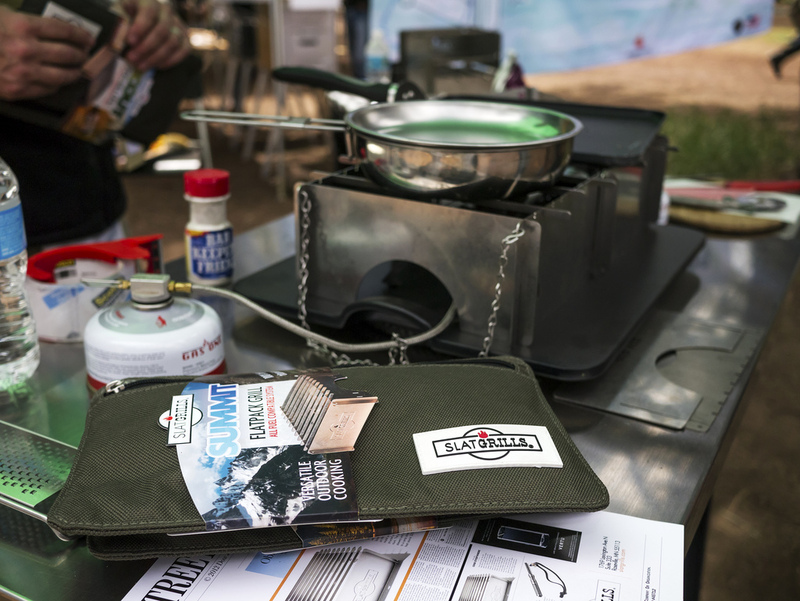 When fired by wood or charcoal it makes for an easy to pack, easy to clean camp grill. Used with a stove it saves fuel and reduces cook time by concentrating the heat and blocking the wind. Regardless of your heat source, the Slatgrill would make a fine addition to any ultralight or moto-based kit. Order your Slatgrill directly from slatgrills.com. 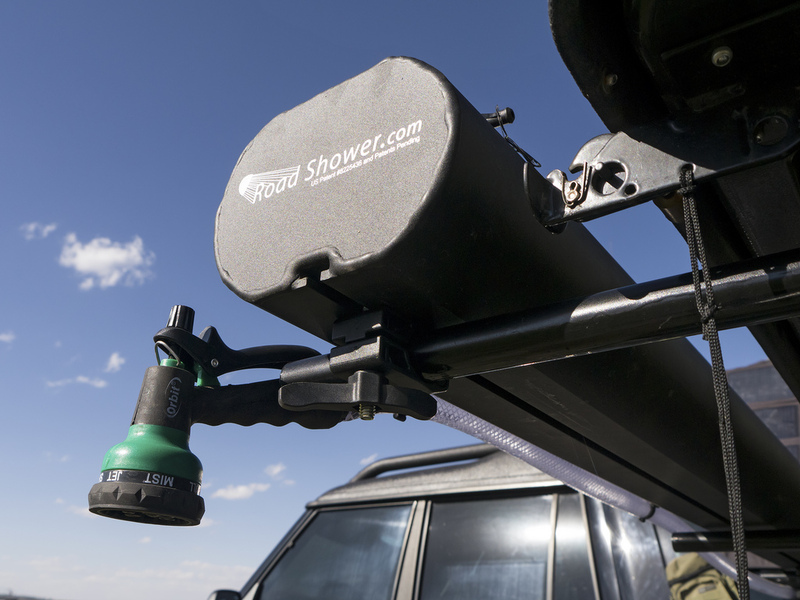 A clever take on the good old solar shower, Road Shower carries five full gallons of safe drinking water on your roof or trailer, heats from the sun while your driving, and can be pressurized from any common on-board air or even a bicycle pump to provide ample running water for a quick shower in the field. 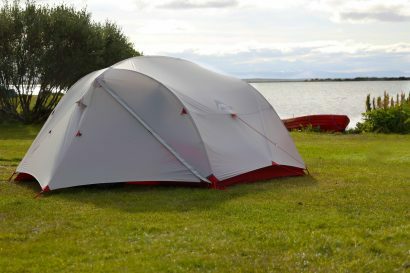 We were so impressed by the prototype we arranged to take it with us on four days of post-OX wanderings—look for an in-depth review soon. Contact Road Shower’s exclusive distributor S. Grant Sergot at 520-432-4544 / grant@optimohatworks.com, or visit roadshower.com for more information. 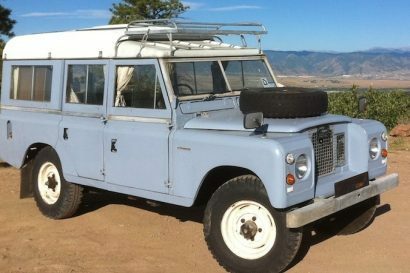 2013 Overland Expo Contest Winners Announced!